Amy Malcolm launched her handmade and luxe leather collection, Opelle, in 2009. She went legit in 2013 when she incorporated the business, brought on a consultant, built a design studio and that’s also when she had her first baby. 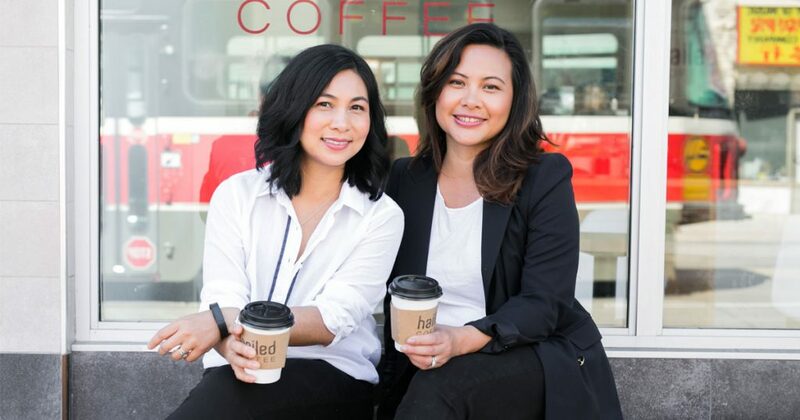 Today, she’s got her second babe on her hip while her biz keeps buzzing thanks to bringing on a business partner who’s given her the boost to bring her work and home life together. Sarah Kawasaki from Fort Kids is operating a business and a family that’s a truly symbiotic relationship. Her studio is just a 5-minute walk from her home and from her work window she can spot her children playing in their school yard. Her business partner is her husband and together they dreamed up the idea of launching design-savvy, locally-made, cool kids clothing. Enviably, they’re pursuing the collective goal of making work and play one in the same. Sue Henderson started her jewelry collection, Suetables, as a part-time hobby .Then her divorce forced her to re-think her casual business plan. Instead of going back to her former life as a PR director for media channels like HGTV and the Food Network, she brought her hand-stamped designs to full-time speed for herself, her kids and her evolving fan base. Here’s how she did it.